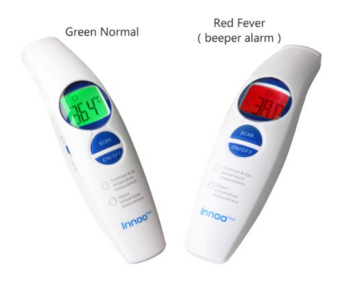 Innoo Tech Accurate Internal Temperature For Kids, Babies, Infants And Adults Just $21.99 Down From $141.99! You are here: Home / Great Deals / Amazon Deals / Innoo Tech Accurate Internal Temperature For Kids, Babies, Infants And Adults Just $21.99 Down From $141.99! Make checker temperature easy with Innoo Tech Accurate Internal Temperature For Kids, Babies, Infants And Adults is just $21.99 down from $141.99 on Amazon! Get yours now while it lasts! Accurate & Fast – Passed numerous rigorous clinical tests. Proven to be precise and accurate when used in accordance to instructions.Take the guesswork out of determining your child’s temperature in only 1 second !